This is the last of the ‘Sugar Skulls’ fabric in work. 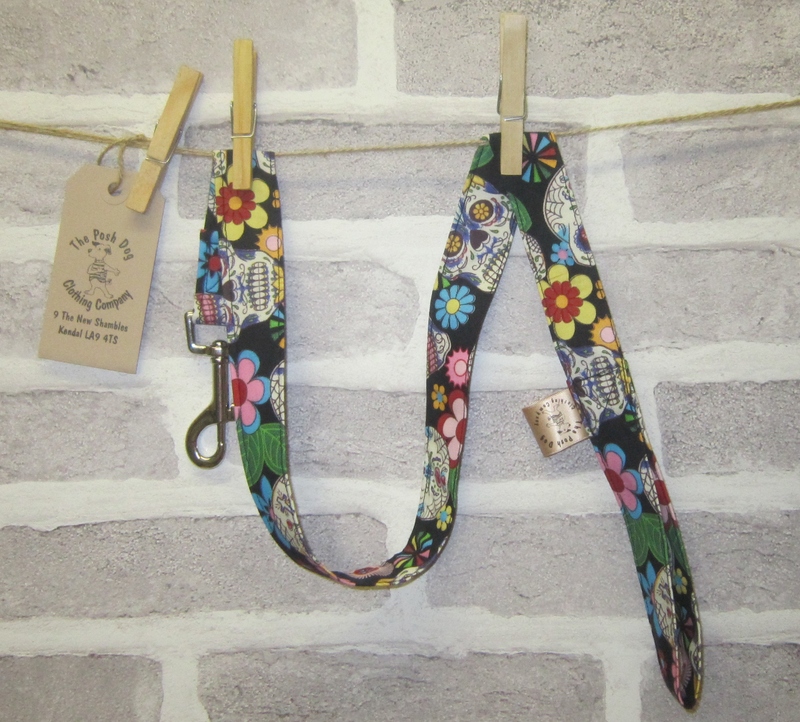 It looks fantastic as collars and leads – t’s so bright and colourful. I should be able to get 2 leads and 3 martingale collars from it – then that’s it – all gone.